I love listening to NPR. They have some of the most interesting shows and interviews. During one particular broadcast of All Things Considered, the reporter filed a story on The American Scholars’ pick of the Ten Best Sentences. These are sentences in fiction and nonfiction books that made the editors at The American Scholar pause and marvel at the beauty of words. I think their picks are remarkable and worth sharing. So if you’d like to read some beautiful words and sentences, if you’re ready for your heart to race and for the world to be righted, click here. Until next time…to the best of life, to the best of living. This month during Women’s History Month, I asked Pari Danian, my dear, multi-talented friend, what woman writer influenced her. Below is Pari’s response. 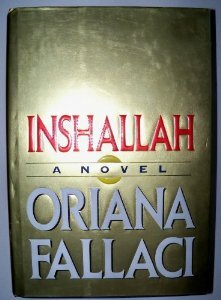 I have to admit that I am not surprised by Pari’s selection of Oriana Fallaci. 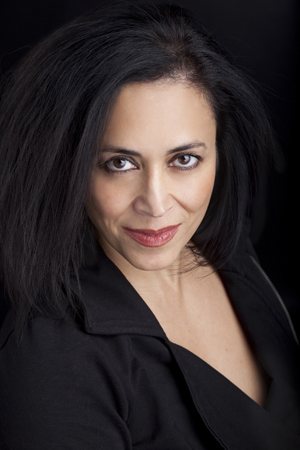 Pari, like Ms. Fallaci is a powerful, gifted artist who is fearless in executing her craft. Read on…you’ll be amazed and inspired! These words by Oriana Fallaci inspired me to express myself through the art of literature. They lifted my doubts and I no longer hesitated to write what I thought. Her journalistic compelling conviction to uncover the truth sparked my passion to seek the truth of my world within and display that in my naked words. 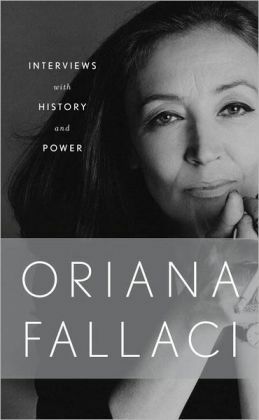 Oriana Fallaci began her career in journalism during her teens, becoming a special correspondent for the Italian paper Il Mattino dell’Italia Centrale in 1946. During the next few decades, she covered many wars starting with Vietnam, the Indo-Pakistani War, the Middle East, and South America. She raised the flags of democracy higher by exposing conspiracies. Her stories cast light on humanity around the globe, stories that otherwise would have never been heard. They changed the way we viewed the world and opened our eyes with intelligent information. She was one of a handful of women who interviewed Ayatollah Khomeini in 1979. During this interview she addressed him as a “tyrant” and managed to unveil herself from the “chador” she had to wear on her head in order to be in the Khomeini’s presence. “OF- I still have to ask you a lot of things. About the “chador,” for example, which I was obliged to wear to come and interview you, and which you impose on Iranian women. I am not only referring to the dress but to what it represents, I mean the apartheid Iranian women have been forced into after the revolution. They cannot study at the university with men, they cannot work with men, they cannot swim in the sea or in a swimming-pool with men. They have to do everything separately, wearing their “chador.” By the way, how can you swim wearing a “chador”? AK- None of this concerns you, our customs do not concern you. If you don’t like the Islamic dress you are not obliged to wear it, since it is for young women and respectable ladies.